The objective of this paper is to explore the different value(s) that are prioritized and delegated by their users in a thing under their possession. The seating furniture at home was taken as the subject to study where users see it as an extension of their being. Using a method pivoting around Grounded Theory and Observation, it gathers meaningful data, process it through coding and memo writing and achieves a range of categories after a theoretical saturation. 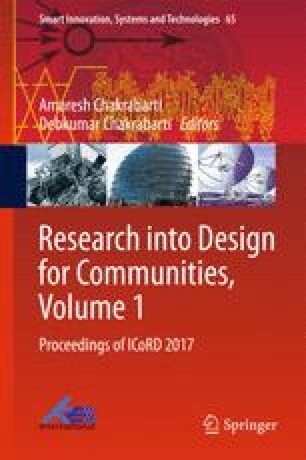 The paper attempts to borrow the classical rigour of Grounded Theory to come up with a Design Research Methodology for studying Design and its consumption.